The first ever recorded line of history in the IRC-Source database is 2014-05-27 23:57:48 UTC-6. We consider this date to be the birthday of IRC-Source. In recognition of IRC-Source turning 3, here is a brief history of IRC-Source, and some of our goals. In 2016 2 new members were added to the IRC-Source team, James Lu and Ken Spencer. 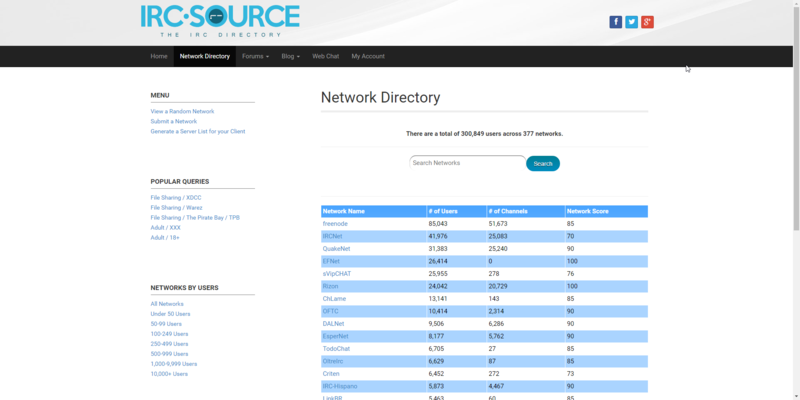 Robert Whitney started IRC-Source in 2014 to collect statistics on IRC networks, and channels, and make them searchable. The original version of IRC-Source, now referred to 1.x, didn’t have network maintainers in mind. It was simple and just collected statistics. During 2014 we recorded partial statistics for May, and full statistics after that through December. By February of 2015 IRC-Source was run on WordPress, and maintainers were manually approved to maintain information on networks. Development of the WordPress website continued until August of 2016 when Robert Whitney started working on version 3.x of IRC-Source. Version 3.01x of IRC-Source was released in January of 2017. This is a stand alone, and final revamp, of IRC-Source. From here on out version numbers will be [years of operation].[month][day][a-z]. From time to time you may see these numbers in the development channel on IRC. 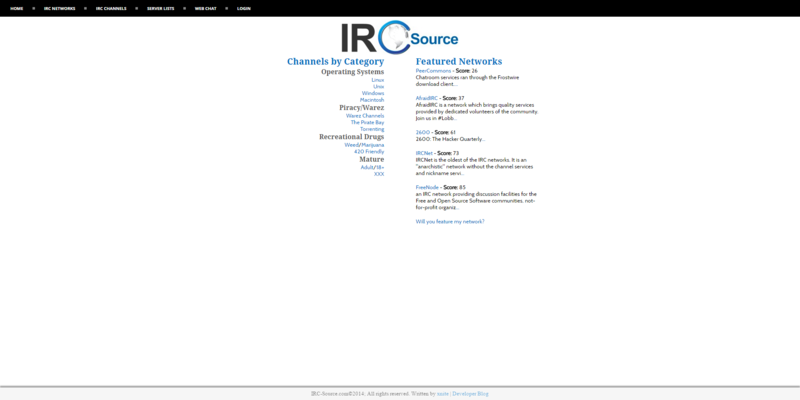 IRC-Source has recently brought in a new developer, Ken Spencer, for the website. Together we are developing new features for IRC-Source including a highly anticipated API for developers. You can check out what’s going on in development on #IRC-Source/Dev @ irc.Buddy.IM.